When I first started making bath & body products, nothing captivated me more than emulsified products like lotions and hair conditioners. I spent days scouring my favourite fora, suppliers’ sites, and manufacturers’ formularies looking for recipes I could try next. I’d find a lotion recipe entitled something lovely like “Sweet almond & aloe body cream”, rush down to my local supplier to buy all the ingredients, then rush back to my workshop to make it. Then I’d find another one, “Apricot kernel & shea butter hand lotion” or “Grapeseed oil & mango butter foot soother”, and I couldn’t wait to get all the ingredients to make those, too. One day, when planning my shopping list for a new recipe, I realized that the only difference between this one and another one was the type of oil. Same emulsifier, same thickener, same amount of water. Was it possible that substituting one oil for another had no impact on the chemistry of the lotion or the emulsification process? Could I use one of the oils I had at home instead of buying yet another new one? What differences would one oil make over another? I was astonished to find that in almost every recipe you’ll make in your workshop, you can substitute an oil for an oil, a butter for a butter, and even a butter for an oil and vice versa, and still make something great. The change may lead to alterations of the physical properties of the product – changes in viscosity, skin feel, colour, texture, stiffness, and shelf life – but it’s unlikely to lead to a failed lotion that won’t emulsify well. I say “almost all the recipes” because there’s bound to be an exception, although I’ve only found one so far. Beeswax is partially soluble in castor oil, and when they are combined they form a viscous system that can be used in lipsticks to keep colours from creeping into those fine lines around your lips or to make a non-petroleum jelly. 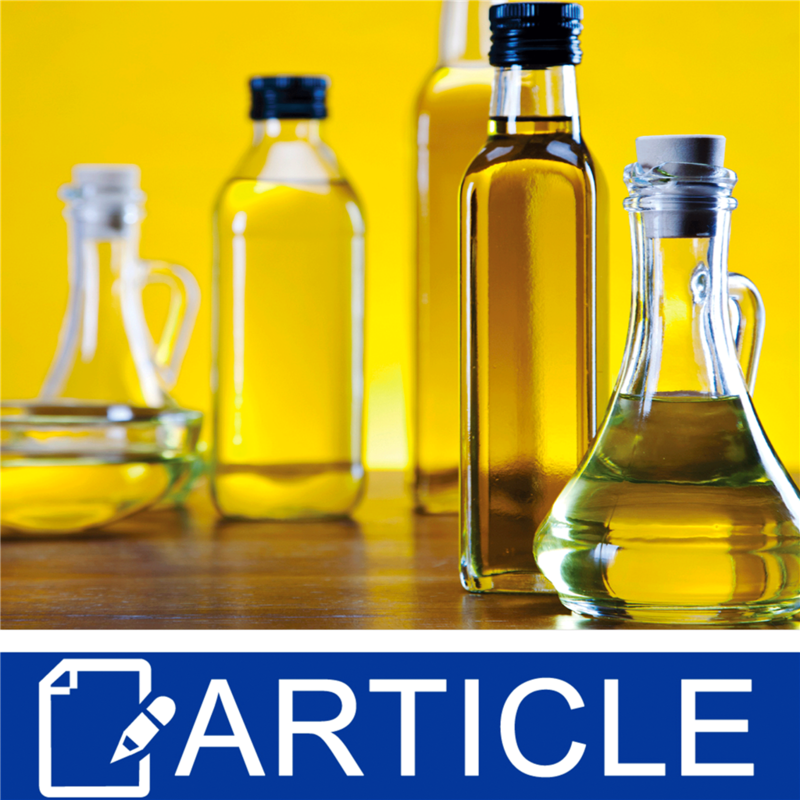 The types of fatty acids in an oil determines some of its characteristics. Butters or fats that are solid at room temperature will contain a lot more palmitic or stearic acid, both straight chain fatty acids, than liquid oils, which contain more oleic, linoleic, and linolenic fatty acids. (Coconut and babassu oils are solid at room temperature, so they are both fats. Jojoba oil is technically a wax.) A liquid oil with more palmitic or stearic acid, like baobab oil, will be thicker than one that contains very little, like meadowfoam seed oil. Other compounds found in our oils, like phytosterols (unsaponifiable portions), polyphenols, and fat soluble vitamins help determine whether the oil feels greasy or dry, the colour, and the shelf life. Can switching the oil or butter in a lotion really make that much difference? It can! A lotion made with apricot kernel oil and shea butter will produce a medium weight, quite greasy feeling product that stays on your skin for quite some time. If you use hazelnut oil and shea butter, you’ll still have a medium weight lotion that doesn’t absorb quickly, but it’ll feel a little less greasy. Substitute babassu oil for the shea, and you’ll create a lighter weight, silky and non-greasy feeling lotion that absorbs quicker and doesn’t leave behind a lot of shine on your skin. Each change will create a small variation that you should record for future reference. When you’re switching one oil for another, also consider the impact the colour of the oil can have on your product. One of my favourite recipes is my conditioning hair custard, named after the yellow-orange tinge caused by the the 5% sea buckthorn oil I use in the heated oil phase. It’s fine for a rinse off hair product, but it might not be desirable in a leave-on facial or body moisturizer, anhydrous serum or whipped butter, or eye gel. Dark oils like unrefined hemp seed oil, sea buckthorn oil, rosehip oil, and carrot tissue oil may colour your product and your skin thanks to high levels of carotenoids, a type of polyphenol, which can vary from batch to batch. My recommendation is to try the oil diluted in a lighter carrier oil – soy bean, sunflower, fractionated coconut, sweet almond, or apricot kernel oil – at the amount you’ll be using it in the recipe, and do a patch test for at least a few days to see the impact. How can you predict how an oil or butter will alter your recipe? Try it! Make a small batch – I don’t suggest more than 100 to 200 grams or 4 to 8 ounces by weight – and see what happens! Make loads of notes about how the product differed from the original version. As you make alterations, you’ll learn what each oil or butter brings to the product. 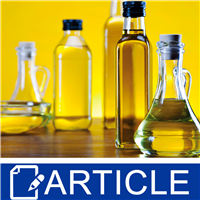 Get to know what each oil or butter brings to your product, and soon you’ll be able to make an educated guess about what might happen with a change.